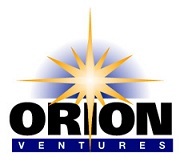 Founded in 1984 Orion Ventures, Inc.(OVI) is an information technology consulting corporation providing independent advice for business and technology solutions. We believe that technology is the major driving force behind successful business strategies in today’s competitive marketplace. Aligning and optimizing your current environment with the latest technology and providing access to enterprise-wide information. Establishing an effective Program Management Office within a proven governance and operational framework. Providing expertise and programs for business continuity, SOX controls, information assurance, and technology audits. Developing a strategic “roadmap” for technology initiatives plus the development, modernization and integration of application systems and databases. Assuming total responsibility as a “Utility” provider of IT services encompassing Computer Operations, Business Continuity, Program Management and a Virtual CIO function. Fulfilling all technical and operational staffing requirements to include interim Chief Information Officer (CIO) positions. Supporting the conversion, deployment, training & testing functions for all banking applications along with vendor selection and business intelligence solutions. 2012 © Orion Ventures, Inc.